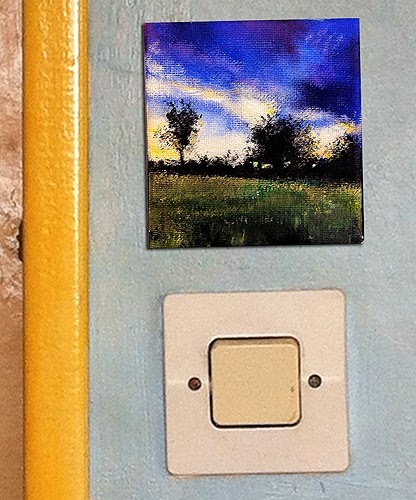 ‘Light Switch Landscapes' are small landscapes about the size of a standard light switch. I came up with the name because of my habit of nailing paintings to the nearest wall while I'm painting them. (Please note: I am aware of the electricity cabling in my home). When you're painting, the surrounding light affects the colours your eye reads. This can be useful to gauge the colour density by using the natural or artificial light available. "I like turning on a light and seeing a small landscape lit up". This Painting is for sale direct from the artist for £55. 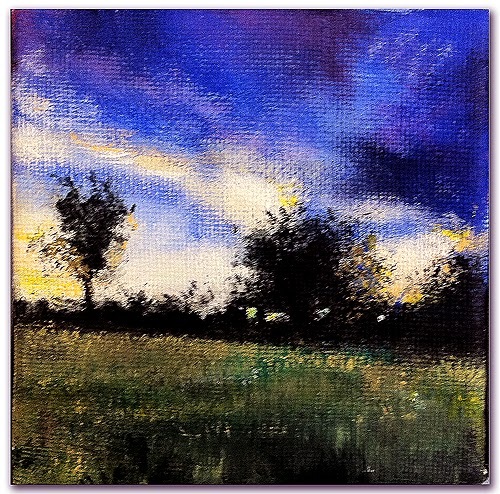 it is painted in acrylics on a 10 x 10 stretched canvas, ready to hang. 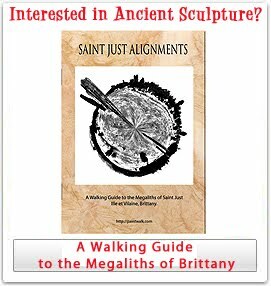 I often go to the same places on my walks and as I get to know the landscape better it becomes a sort of internal head map. This doesn't lead to over familiarity as the scenes change constantly with the season light and climate. 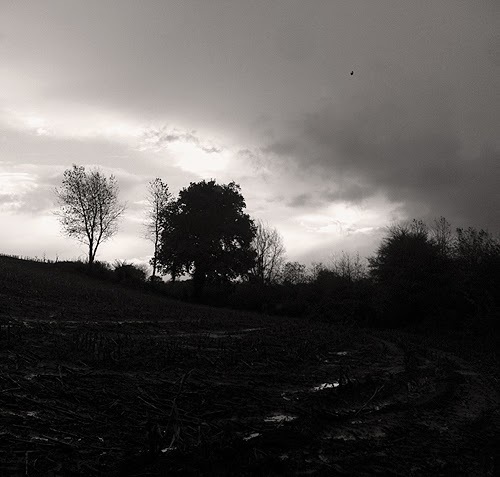 This allows me to view the landscape as a calendar and hopefully learn more about nature.